Hello Guys ! Welcome to GraphicsCardHub.com (GCH), the Hub of Graphics Cards. 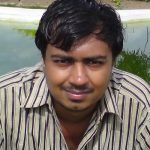 My name is Akshat Verma and I am the owner and author of this technology blog. I am a complete PC hardware freak and has a great liking for graphics cards. I have been learning about graphics cards and using them cards since the GeForce 3 series (launched in 2001). With over 12 years of experience in PC Hardware field, I have helped out many people on building their PC. I am a passionate PC Gamer and have changed many graphics cards over the years. I have started this tech blog to help out people on graphics cards, computer components and their gaming needs. I have done M.Tech in Information Technology (I.T.) and B.E. in Computer Science & Engineering (CSE). You can also reach me on Facebook and Google Plus.